The Budapest campus is situated in a beautifully restored school building originally constructed in 1896. 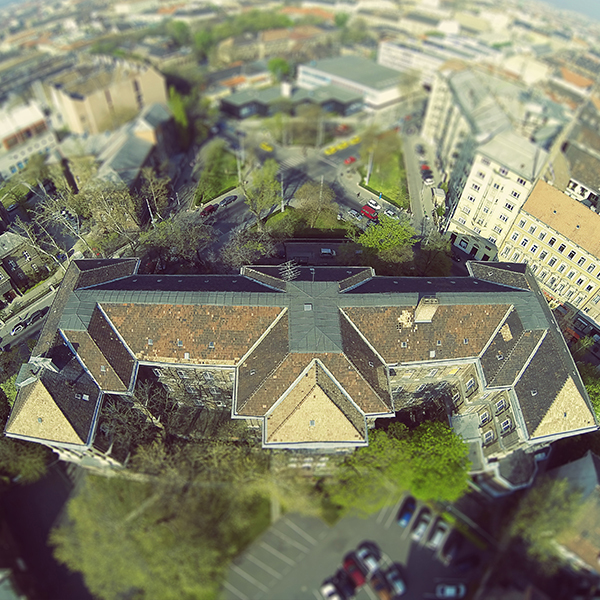 The building sits on a tree-shaded square across from the Veterinary College of Saint Istvan University. While the outside of the building speaks of Old World charm, the inside contains a college that belongs to the 21st century. A computer lab, reading room, fully equipped classrooms, a cafeteria, a Students’ Club room, and gym facilities are available for student use. Located in the VII district of Budapest, the campus is easily accessible by public transportation, so commuting is easy no matter where a student lives in the city. McDaniel students come from many different countries, but they have one thing in common –opportunities for a rich life outside the classroom and they quickly come to realize that the entire city of Budapest is a potential campus. Various cultural events, cinemas, theatres offering plays in English, international festivals, sport events, and lively nightspots, all at reasonable prices, make the city attractive for students’ interests and budgets. In addition, during the academic year many extra-curricular activities are organized by the College such as day trips, hiking in the Buda hills, visits to museums, guest lectures, and parties. 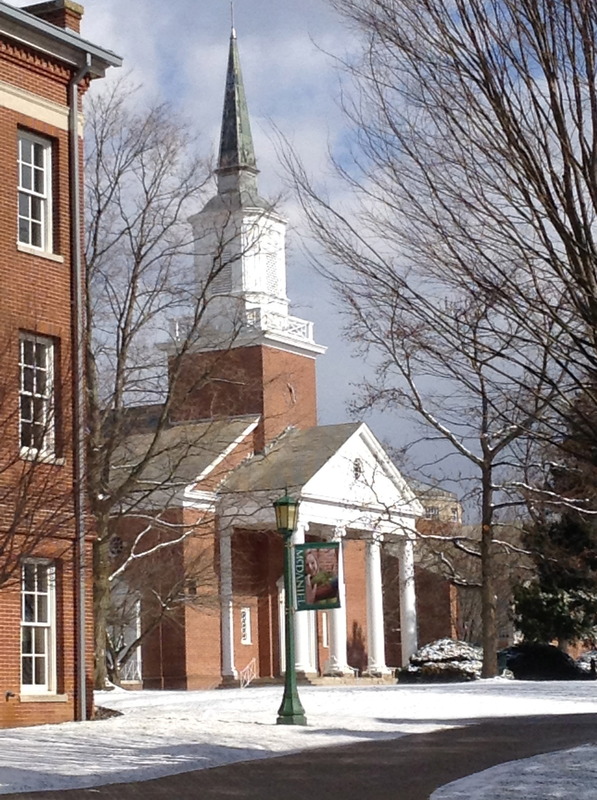 McDaniel College is a accredited, private selective College of the Liberal Arts and Sciences, located in Westminster, Maryland, U.S.A., where students from 21 countries prepare for lives of leadership and service. The European Campus of McDaniel College in Budapest is accredited by the Commission on Higher Education of the Middle States Association of Colleges and Schools, the accrediting agency for McDaniel College. McDaniel College Budapest is registered in Hungary as a foreign institution of higher education by the permission of the Hungarian Minister of Education. It offers a standard American four-year undergraduate program in Hungary, leading to a Bachelor of Arts degree. A unique feature of the program is that students have the option to complete the upper two years of study at the main campus of the college in the United States. In addition, students enrolled at Budapest earn credits that are fully transferable to any other American college or university with the provision that they are based on grades of at least “C‑” or higher. The Budapest Campus of McDaniel College functions as a study abroad center for students from the main campus and other American undergraduates who wish to spend one semester in Europe. It offers an opportunity to take regular college-level courses for credit, while at the same time exploring the “Old World,” since all major cities on the continent are within easy reach of Budapest. The courses at McDaniel College Budapest are taught by a highly qualified and experienced faculty of American, British, and Hungarian professors who have held senior teaching positions both in the United States and in Europe. Successful completion of the entire four-year program results in the awarding of a Bachelor of Arts degree from McDaniel College. This degree prepares students for positions as professionals in business, banking, government service, the media, or in the arts.